This black and white clutch is simple and sophisticated. 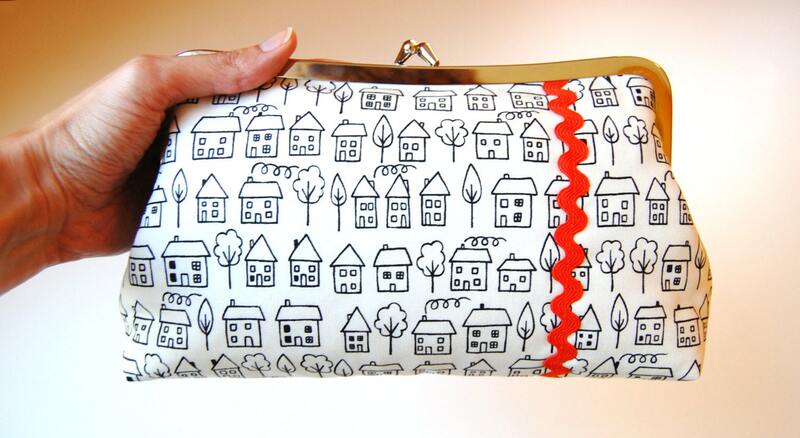 It is a minimal purse that makes a great modern clutch. The simple clutch makes a big impact. 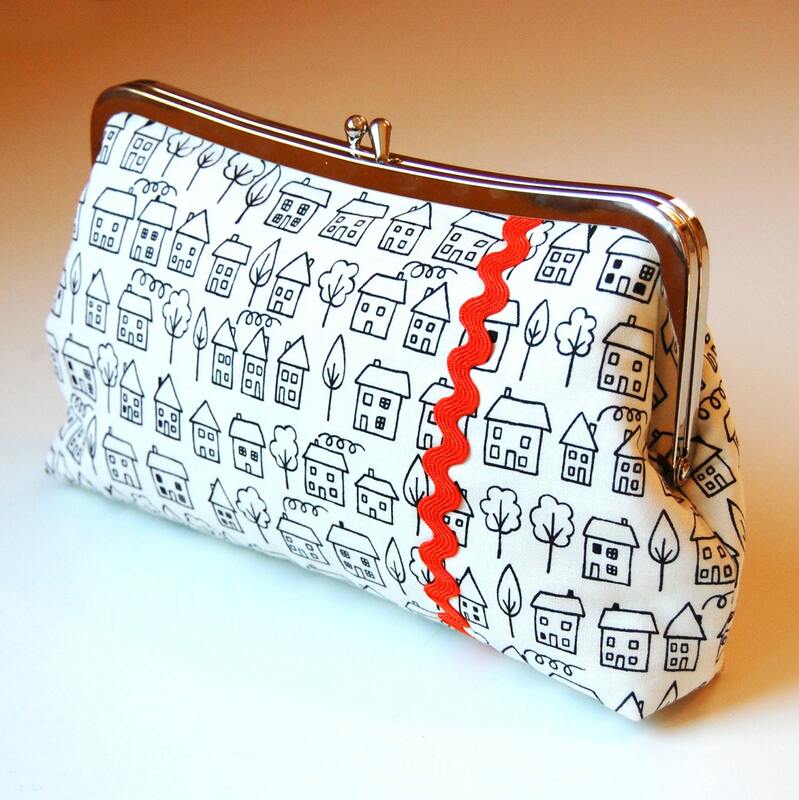 This handmade handbag that will quickly become one of your favorite accessories ... useful for so many occasions, matches with everything, and so pretty, too! 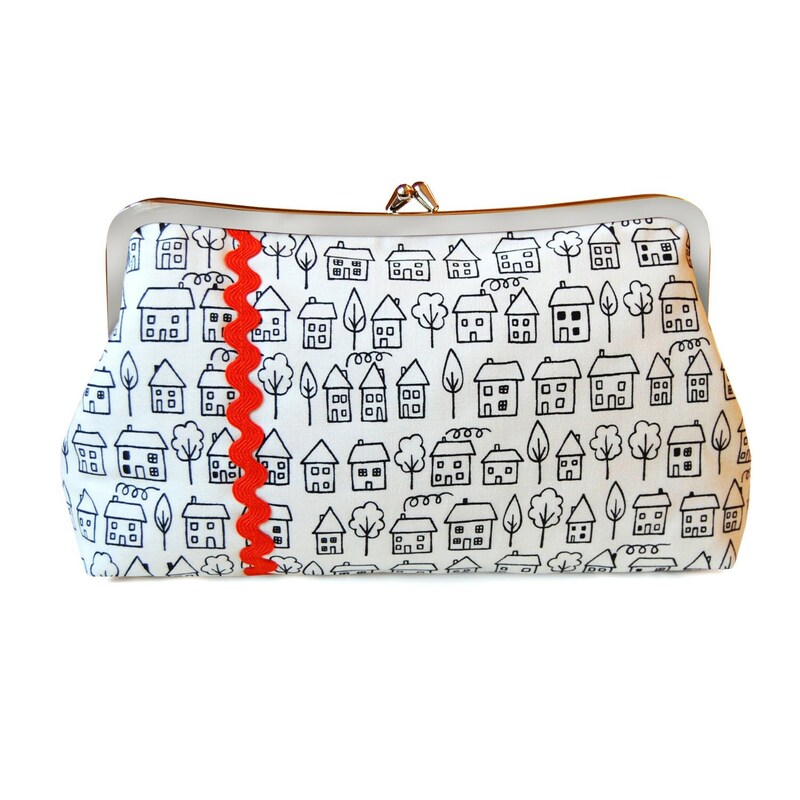 -The black, white, and orange clutch has a hand-drawn print of houses with a ric rac accent. 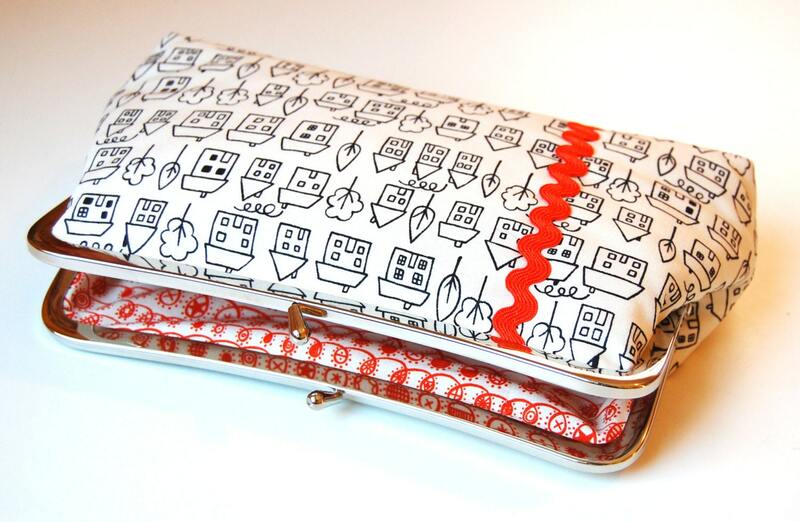 -The inside of the fabric clutch is a coordinating orange and white doodle print. -The geometric clutch is the perfect size to carry all your essentials for a night out - phone, makeup, credit cards, and keys. 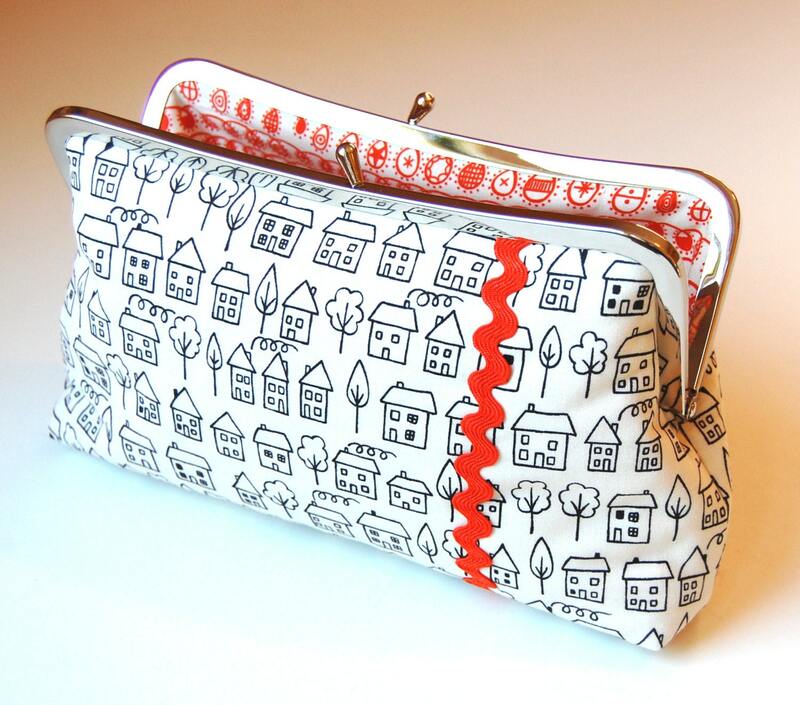 A perfect everyday, modern bag! For purposes of EU data protection law, I, Jennifer Ladd, am the data controller of your personal information. If you have any questions or concerns, you may contact me at jennifereladd@yahoo.com.